To think the initial news of a $90,000 cheque disrupted the subtle flow of politics in Ottawa, it would have never been known if it weren’t for a leak to an experienced and well-networked journalist. As time evolved, more leaks were made, expanding the scandal to more people and more clout. Again, we see information that would have been deeply under the rug if it weren’t for the right openings in a tightly sealed gate. This begs the question: How far does this scandal reach? The only people who can tell you how deep the mess is are the people who made it and these people either aren’t talking or are in the process of back-room deals trying to cover it up. The story from May has changed. Mike Duffy went from a state of avoiding the media and being called honourable for repaying $90,000 in inappropriate housing claims to the criminal of the hour conspiring behind closed doors to fraud taxpayers and today is the victim trying to save his job. They say when your livelihood is in danger, you’re more likely to sing like a canary and if the chain of events continue, Duffy’s bombshell allegation that Prime Minister Stephen Harper threatened him to repay the money is only just the beginning. Duffy affirmed that whatever paper trail the PMO refused to pull up is either in the hands of the RCMP or his lawyers and deleting emails is only as effective as finding their meta data traced back in the roots of servers. 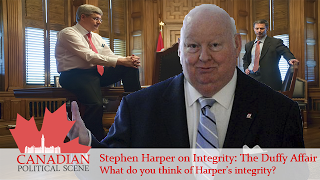 Harper’s attitude has also changed on the matter. Progressing from a story that isolated the scandal to “a matter [Nigel Wright] kept to himself” to a scenario where Wright told “only a few people.” A contradiction from a man who has hid behind trade deals and parliamentary secretaries, along with simple and pointed attacks to the opposition. “Mr. Speaker, the facts here are reasonably simple, whether or not the opposition or anybody else particularly likes them. “Mr. Speaker, I addressed this issue some months ago. 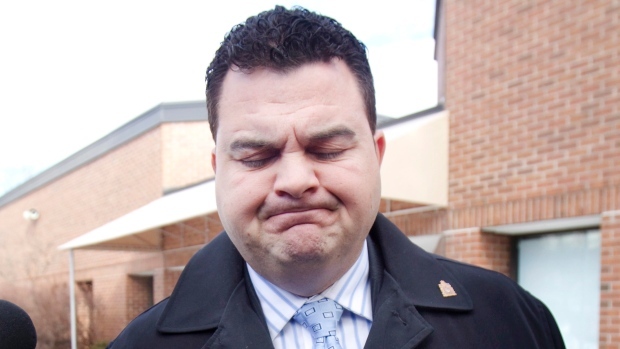 Mr. Wright has been absolutely clear in terms of who he told he intended to repay Mr. Duffy’s expenses to. He did not say Ray Novak was one of those people. He has named those people. He has been very clear. He has also been very clear that one of those people was not me, because I obviously would never have approved such a scheme. “Mr. Speaker, Mr. Wright has been clear. The decision to repay Mr. Duffy with his own money was his and his alone. He informed very few people. The allegations contained in that question are completely false and designed to do one thing and that is to deflect attention from the fact that it is the Liberal senators and the Liberal Party that refuse any reform in the Senate and refuse any attempt to discipline any senators who have behaved inappropriately. Once again, Mr. Speaker, I addressed that matter months ago. Mr. Wright made this decision. He has been very clear. He informed very few people.It was his own decision and his own initiative. Any insinuation or any suggestion that I knew or would have known is incorrect. As soon as I knew, I made this information available to the public and took the appropriate action. Again, Mr. Speaker, he alleges that many people knew about this. That is simply not correct. It was Mr. Wright’s decision, using his own resources and by his own admission, documented, he told very few people. This isn’t the only contradiction Harper has made. In the Wallin Affair, Harper said, “In terms of Senator [Pamela] Wallin, I have looked at the numbers, her travel costs are comparable to any parliamentarian travelling from that particular area of the country over that period of time.” However, senate audits have found her owing to be staggering. While the Duffy Affair is the big story because it hit the PMO hard, allegations read the same people involved with the Duffy Affair are implicated in the Brazeau and Wallin affairs. On a rare Friday sitting, Brazeau dropped a bombshell after the new senate leader Claude Carignan offered an easier ride for apologizing to Canadians. While this scandal has hit the airwaves and kitchen tables across the country, this abuse in taxpayer money isn’t new to the Conservatives. Canadians were outraged when Bev Oda changed hotels on taxpayer’s dime to get $16 orange juice and 5-star service. The Conservatives didn’t look any better when then-Defence Minister Peter MacKay changed his hotel suite, and when he started using taxpayer-funded helicopters for free rides. Going back a bit more, how have the gazebos in Tony Clement’s riding been fairing with funds that were allocated to border security? It appears hundreds of thousands of dollars in misused senate allowance is only part of a trend, albeit one with much more embarrassing consequences. Harper too enjoyed this kind of luxury, using his taxpayer funded jet on occasions to take his family to sporting events – although he claims to have refunded the consumer cost of the flights. In a time when Canadians are met with a government that has campaigned relentlessly on accountability and instead decided to build firewalls and hide, it is hard to distinguish truth from lies and everything in-between. Duffy has yet to add substance to his claim that Harper threatened him, but already we see Harper responded to the bait. 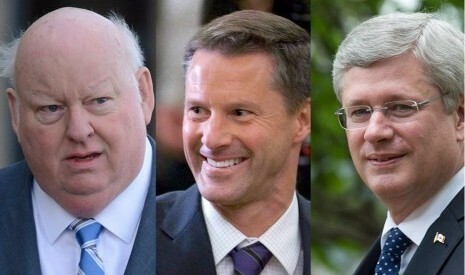 When it came time to look strong, of course Harper told Duffy his actions were wrong, but did Harper sing the same tune this spring when he offloaded the scandal to Nigel Wright? However, let’s return to the root of the scandal. Would we have known if it weren’t for the leak? Likely not? Was there an attempt to cover up the scandal? Very likely. Given this, what are the odds there is more under wraps we don’t know of? That, only time can tell. It is without saying then, that as easily as this scandal can be isolated to the handful of senators and PMO staff currently under scrutiny, it can be a chronic issue and there are many layers to dig before reaching the truth. Is this scandal isolated or chronic?